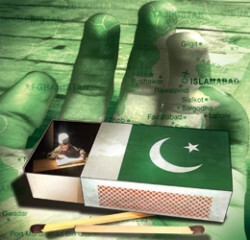 Truth by Kbaig: The Use of Propaganda Against Pakistan and Worried Public! 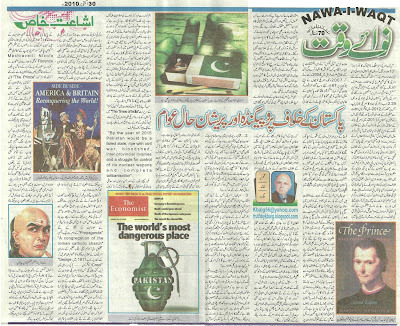 The Use of Propaganda Against Pakistan and Worried Public! 3rd round of Pak-America Strategic dialogues in which “13 working groups have visited America under the control of Pakistani Ministers. America not only rejected to interfere on Kashmir problem but also silence on the murder of innocent Kashmiris”, American Lolly Pop of 2.29 billion dollars for aid and it will be issued in 2012 after acceptance from the American Congress. While as a response to this Pakistan will have to show its vigilance (Operation in North Waziristan in the name of so called War on Terror) in 2011 in all circumstances. On the second day of announcement of defense aid of Pakistan the threatening statement of White House that if America is not satisfied with operation against Terrorism Pakistani aid can be stopped. The claim of British Newspapers that after the release of video in which uniformed persons are murdering six innocent people, Obama administration is concerned about it. Moreover on the violation of human rights the aid to these half dozen units of Pakistan army which are involved in war against terrorism has been stopped. However these newspapers have not made it clear that the hundreds of Pakistanis murdered in Drone attacks fall in the illegal murders and human rights violations or not? Moreover they have not cleared that is Obama Administration concerned with the reports on “WikiLeaks” that only in Iraq from 2004 to 2007 American army has murdered 67 thousand innocent, unarmed Iraqis on its posts. Till the last weak General V.K. Singh crying over Pakistan's nukes falling in the hands of Taliban has suddenly changed his stance and issued statement that Pakistani nukes are safe and they have no threat of falling in the hands of terrorists. Then is this a chain of American President’s pilgrimage to India so that Indian face contaminated with the blood of minorities could be washed or a struggle to reinforce American stance, “Pakistan has no threat from India so Pakistan should send its troops to North Waziristan”. However there are many such like incidents about which questions are in the minds of Pakistani people, but I would like to get attention of readers towards propaganda on international level against ISI, Pakistan Army and especially against Pakistan. But in order to save ourselves from this important weapon of all times neither our rulers have not devised any plans nor our Media (especially TV) have any time to respond to this propaganda. Although our intellectuals, writers, media masters all know that it is working against us as double edged sword. Through this on one hand the pessimism in country is being spread so that Pakistani public loses trust on Govt. institutions, they think themselves as powerless and become doubtful over the integrity of country and their future. And on the other hand “on the international level Pakistan could be posed as center of problems and failed state, and its administrative institutions are unable to solve problems of the public. It could be posed that in Pakistan lawlessness and corruption is common and this has provided safe heaven to Al-Qaeda and other extremist organizations. Vicious circle of poverty is cause of religious extremism which is now spreading as the fire of jungle. And if it is not stopped it will engulf the whole world. Like this there are many intellectuals within Pakistan in addition to America and Britannia who think that in order to safeguard International peace the war of terrorism of America and Britannia should be shifted to our own province Khyber P.K. from Afghanistan. Because according to them religious elements present in the ISI and Pak-Army is not only supporting Taliban in Afghanistan (the Afghans resisting against American capturing of their motherland) but will also resist in operation in North Waziristan. Then is this not the magic of propaganda that has convinced world that all countries around Afghanistan are loyal and supporting to America, from them no interference is being done in Afghanistan. Neither they are concerned that America continues its capture of Afghanistan through power or destroys it with the latest weapons, nor they have any geographical interests linked with Afghanistan? When after long cold war America played an important role in the shameful defeat of Russia while American boundaries were not adjacent to Afghanistan. Now when America has been badly entangled in Afghanistan will not Russia do anything to take revenge? This is a common thinking in the world that after defeating Russia, America considers china its number one enemy. And china also knows that from accepting Taiwan as an independent country to providing latest weapons to India, all this is being done to trap china. Will after knowing all this china will behave as a silent spectator? Will china allow America to enter into Pakistan and stop Chinese access to Gwadar? Till now America has not accepted Iranian revolution, and adopted child of America, Israel is always threatening to attack nuclear sites of Iran. America has frozen billions of dollars Iran, moreover has induced several restrictions over Iran through UNO. America has initiated terrorism in Iranian Baluchistan through supporting Baluch separatists. Due to American undercover interference in last elections riots have spread and hundreds were murdered, then in spite of strong contacts in Afghanistan will Iran remain silent so that whatever America wants it can achieve? But international media is posing that only Pakistan is guilty who has sacrificed thousands of soldiers in so called American war on terror. Have any one thought that why only Pakistan is target of suicide bomb blasts as a result of this property of billions have been destroyed and uncountable innocents have lost their lives? And the pivot point of this propaganda is Pakistan army, secret agencies responsible for country's integrity and state of Pakistan. Here I would like to mention report of British newspaper "Independent" so that readers can easily understand that propaganda against Pakistan is present but there is also a role being played by our mutual corruption and illegalities. the above mentioned newspaper writes in the propaganda, "Pakistan is going towards disintegration and division into parts. People are facing crises after crises but politicians and rulers are not ready to take any practical measures, or they are not capable of facing these crises. Whole country is facing dispersion. Due to this and natural calamities and fight for power state and society are going towards disintegration. Millions of people affected by flood are helpless. America is intensifying Drone attacks in western parts of the country. NATO helicopters are violating Arial boundaries and martyring soldiers of Pak-Army. After this Pakistan cut down the supply of NATO. Islamabad is on the edge of end of civilian govt. and being captured through army treachery. While security policy is being controlled by army itself. Pakistan has nuclear weapons but its children are hungry. The country's progress towards civil war is not a problem but problem is why no revolution has taken place in spite of so many crises? 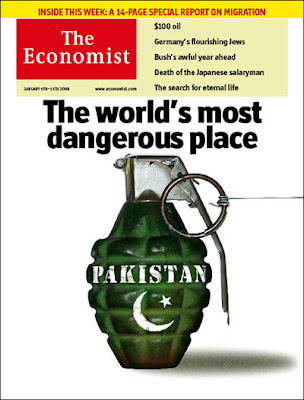 "By the year of 2015 Pakistan would be a failed state, ripe with civil war, bloodshed, inter-provincial rivalries and a struggle for control of its nuclear weapons, and complete Talibanaisation". Try to concentrate that the poor situation of peace and economy shows that there is a force present which is forcing the whole country towards a specific direction. Rapidly increasing inflation, load shedding of gas and electricity, and due to this destroying industry, unethical expenses of rulers and they are not even ready give up these expenses but increasing them. People are watching all this and getting hurt but cannot do anything. In such circumstances when enemies of country use weapon of propaganda it proves to be much successful. if we pay our attention towards the word "propaganda" then from centuries the use of different methods to prove truth as lie and lie as truth is going on. the history is full of such examples through in which different kings got unlimited successes through the use of propaganda. In the first time of history Romans used word propaganda for propagation of Christianity and formed an organization "A Congregation of The Roman Catholic Church". 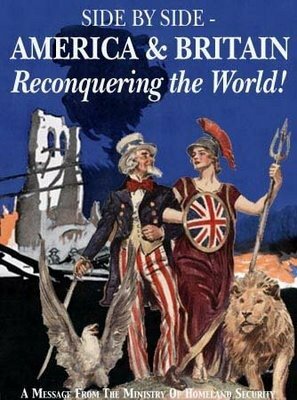 However during First World War Americans changed its meaning, when in 1917 under the supervision of "George Creel" a committee was formed it was responsible to alter the truth as per needs and then represent it to American public. And in reference to different incidents such news were made based on truth which was taken as true by enemy and they committed severe errors. Sometimes friends and allies were forced to support American lies as true. Recent Examples of this are fake reports about Iraq having weapons of mass destruction and Taliban or Al-Qaeda in Afghanistan having the ability to threaten World peace. 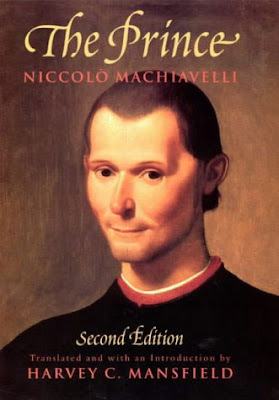 in this way Americans defeated "Kotliya Chankiya" of Hindus and intellectual of western Europe "Machievelli Nicolo Florence" who in order to capture weak states and take their resources wrote books like "Arthashastara" and "The Prince" to guide the rulers. In these books in order to destroy enemies all types of lie and evil were legitimized. it is propaganda which defeated Germans in 2nd World War and rejection of stories of genocide of Jews in the hands of Nazis have been made as crime in law in Christian countries of Europe. Moreover propaganda played an important role in the destruction of Super Power Soviet Union. 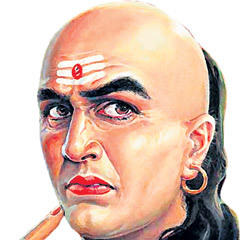 Now the followers of Kotla Chankiya and Machieveli are targeting Pakistan. Propaganda is being used as a weapon against Pakistan. If we have to safeguard ourselves from this then as a nation we will have to change our preferences. We will have to adopt simplicity and this will have to be started from our ruling class whose behavior of extravagance has forced country towards economic bankruptcy. In spite of abundance of resources people are deprived of them, they are overtaken by pessimism. And this is the cause of continuous propaganda. Satisfy the general public, the propaganda will prove bubble of soap. Continous Propaganda Against Pakistan! Are Indian Nuclear Weapons Safe? Sir i m big fan of your blog & read all articles of your.I m also blog owner http://pakarmydefence.blogspot.com can i refer you blog...I show your post with your full reference & post is fully showing your blog above. Can i do That... I just want your yes.